YA Heroines Tourney & (maybe) a new song! 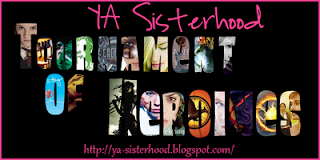 As you may remember, earlier this year, the awesome YA Sisterhood book blog held a YA Crush Tournament, in which our very own Zachary placed second, thanks to your amazing support! This fall, it’s the girls’ turn. Nominations are NOW OPEN for the Heroines Tournament. As of yesterday, Aura was 21st. The cutoff will probably be 16 or 20, and the count is very close, so if you think Aura’s a great heroine, please nominate her. She needs your votes! Nominations close at Thursday, November 25 at 12:01am Central Standard time. So, basically, by Wednesday night. Thank you so much! If Aura makes it into the tournament, there’ll be another song from Logan. I had so much fun (the tear-shedding, nose-blowing kind of fun) writing “Forever,” I would love to try it again. And this time, the song will be about how cool Aura is, not how sad and broken Logan is/was. Except, you know, "Aura Salvatore" instead of "Brian Boitano." Sound good? Yay! I’m sure I’ll think of more incentives later, but right now my main focus is giving Aura the best possible final book of the trilogy, in the form of SHINE. Visit Fictitious Delicious for an exclusive look at the cover for Shine (Shade trilogy book 3), plus the new covers for Shade and Shift. I've left a message there that hopefully "pre-answers" (hmm, not sure about that word) your questions, and I've answered some specific questions brought up in the comments. You can also enter to win an ARC of Shine on the cover reveal blog post. These will be extremely scarce, as I've mentioned before and will explain in a full blog post soon, since I've been getting lots of questions about them. The giveaway is international and the deadline is 11:59CST Sunday, November 6. Thanks so much for all your great feedback on the covers! I'm thrilled to see the enthusiasm for Shine--can't believe it's still SIX MONTHS AWAY. *weeps* Gonna be a long winter for me, wondering what you guys are going to think. OK, here they are, as promised almost three months ago, the #SHINElines (short teasers from SHADE book 3, SHINE, coming May 1, 2012) I tweeted during the final round of the YA Crush Tournament. Compiling these brought back some pretty wild memories! A SHINEline, if you're not familiar with the term, is a Twitter-size (i.e., 140-character or shorter) snippet from Shine. Unless a speaker is mentioned, assume the line is part of the narrative from Aura's point of view. -Aura (video-chat, touches top button) "Here?" Zach: "What d'ye take me for, lass? I'll not be groping you long-distance. Guess again." -in Dublin airport: No, wait--not half-and-half. Now there were seven red roses & only five yellow. -8K #SHINEline: Mickey leaned over to the mic. "Is that my brother or a doppelganger?" -11K-vote #SHINEline: "Do you have a warrant for Principal Hirsch's arrest?" -12K #SHINEline (Zachary, on Disney films): "I thought America would be like that. Bright colors, singing & dancing. Heroes & villains easy to tell apart." -18K #SHINEline, from Aura's mom's lost journal pgs: "The day will rise again, with the next return of the light." -19K #SHINEline: Dylan: "Yeah, seriously, my mom cleans the house before the cleaning people come. Is that insane or what?" 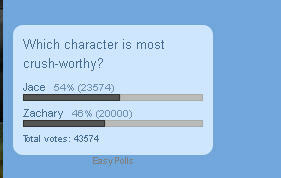 -19400-vote #SHINEline: Nicola: "For some reason, I thought ghosts would be purer. Then again, I thought *I* would be purer." -19500-vote #SHINEline: Megan: "Do you realize how rare this is, how tiny the window of banana perfection?" -19600-vote #SHINEline: I found Simon not backstage, but rather sitting on Creon's throne, legs crossed in a contemplative stance. -19700-vote #SHINEline: "What did you do to us, witch?" Aiden growled. "What did you put in us?" -19800-vote #SHINEline: The orchestra's sprightly marches & bouncy TV themes mocked the growing tension on our picnic blanket. -19900-vote #SHINEline"My fellow Americans, good evening. My name is Becca Goldman, and I weep with all of you." Anyway, in the last few weeks, as I've been hard at work line editing Shine, Zachary has been tweeting a SHINEline now and then to entertain the troops. -Aura: "Black & white pudding, is that like chocolate & vanilla?" -[Zach], driving. "It's also my 1st time w/a manual transmission." [heavy traffic] "I have to stop talking now or we'll die." -"Mo anam caraid," he said slowly, pronouncing it mo AN-am CAR-idge. -Megan, to Aura: "What did you want, a red carpet when we walked into school yesterday a.m? Trumpets? Confetti?" -in a note from [Zach] to Aura: We will solve this together. Please don't let go. Promise me. Sadly (or maybe not), many of the SHINElines from August have been cut from the manuscript. I rewrite very heavily. More about Shine, including order links and more "pre-bonus" material. Anyway, if you'd like to see the cover for Shine and get a chance to win an Advance Review Copy (ARC), visit Fictitious Delicious's blog on Wednesday, November 2! Gotta go to bed now so I can be up bright and early for Day 2 of NaNoWriMo. Chapter 2 of Lust for Life, here I come!